As you all know now, Tekashi 6ix9ine is facing a maximum sentence of life behind bars. His legal team seemingly believes that there’s a high chance he will be released next year after cooperating with the feds but even if he’s released from prison, it will be difficult to ever take him seriously again in music. His entire image has effectively been proven to be false, making his musical return unlikely. During a new interview with Vulture, the former rap superstar’s Slovakian collaborator spoke about their unique marketing plan to become famous. His fall from the top was also chronicled. Before hitting it big stateside, 6ix9ine had already built a following in Slovakia and Czech Republic. He did so by using imagery that was acceptable in the United States but controversial in Europe, causing a stir and leading people to his music. Yaksha, a Slovakian businessman, worked hand-in-hand with the young rainbow-haired sensation to curate his image, including the tattoos and the colorful attire. At one point, Yaksha actually had to convince 6ix9ine not to get a tattoo of his own face on his forehead. Speaking on the demise of Tekashi’s career, Yaksha says that the attention he was getting from the Nine Trey gang ended up being his downfall. “His big mistake — he liked the attention of the gang. He liked the attention of the people selling heroin, shooting people. He trolled his way into the jail,” he said. 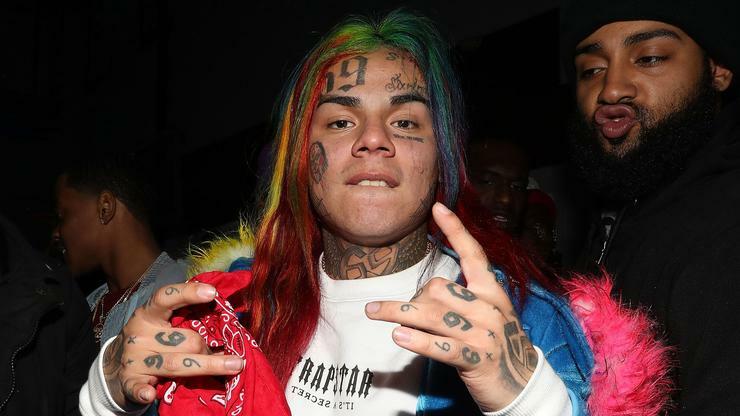 Yaksha says that he spoke to 6ix9ine a few months ago, detailing how he and a group of friends called him on his cell phone. “Okay, he’s really rich, so he’s in jail but he has a phone,” he said. According to him, he’s doing well but he didn’t get to have a long conversation with the rapper.